1. 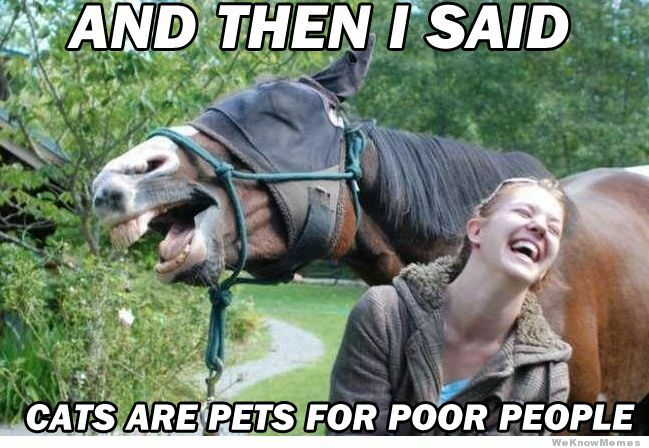 You own a horse? You must be rich. No, on the contrary. We are all horse broke. And yes, there is a term for that. 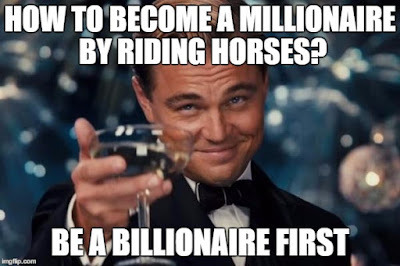 Even more, with horse poor you have a second one. 2. 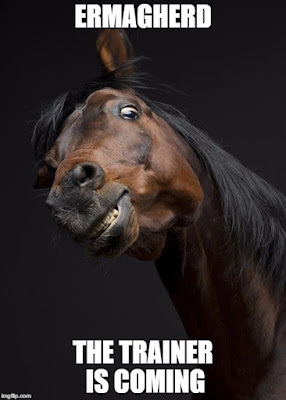 You ride dressage? You must jump obstacles a lot. No, on the contrary. We never jump. 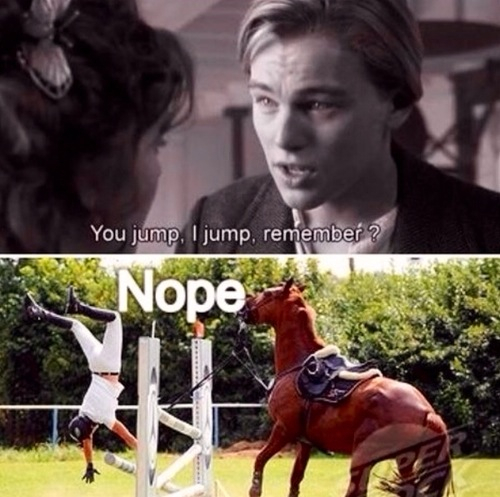 Because then we would be show jumpers. 3. 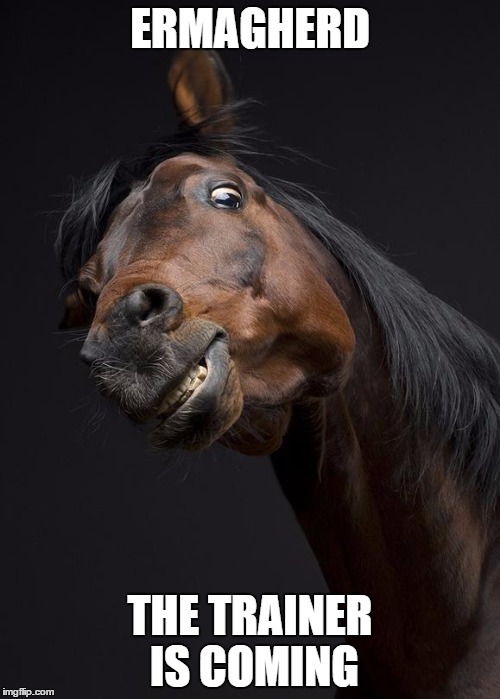 You still have a trainer? You must be a real bad rider. No, on the contrary. 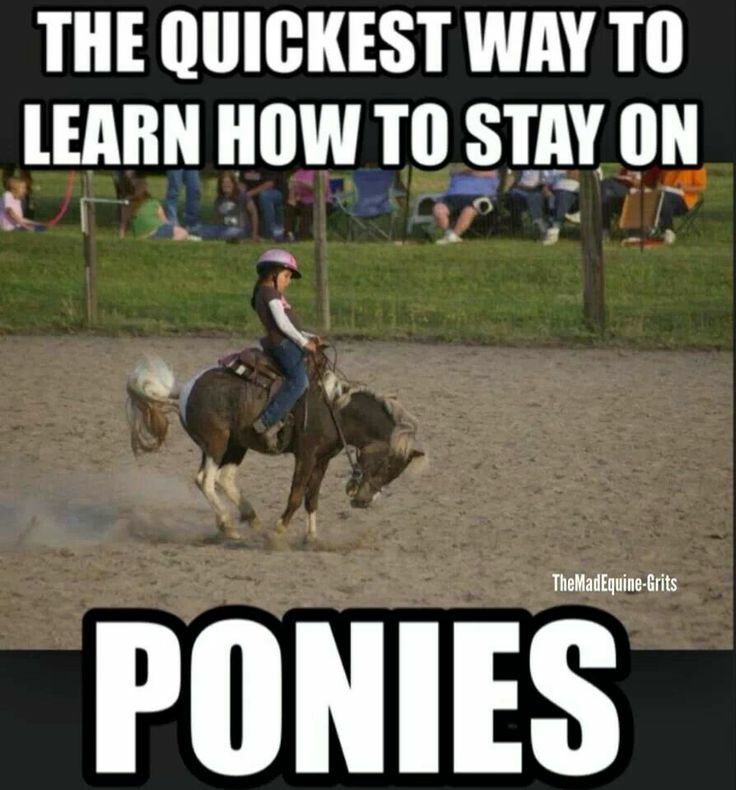 It is not like you learn to ride once and then you’re done. Fact is that we face a continuous improvement with the help of a trainer. 4. You show? You must be rich. No, on the contrary. We have to choose wisely. 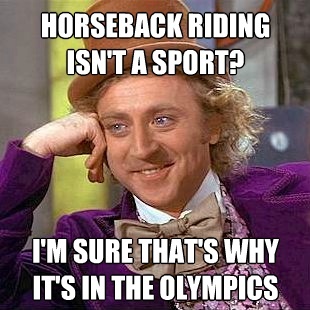 Because we cannot afford to ride as many shows as we would like to. Leads us back to bullet point 1, we are horse broke. And please see the next point! 5. You show? You must earn a lot of prize money. No, on the contrary. No prize money at all. 6. You show? You must see a lot of fancy places as I have seen on TV. No, on the contrary. Lower level show riders hardly ever face fanciness. We most of the time dig our path through mud and dirt. 7. You have a pony? 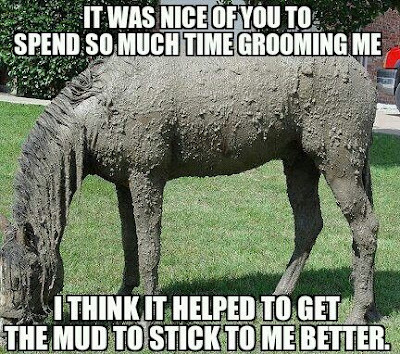 You must want to have a real horse. No, on the contrary. 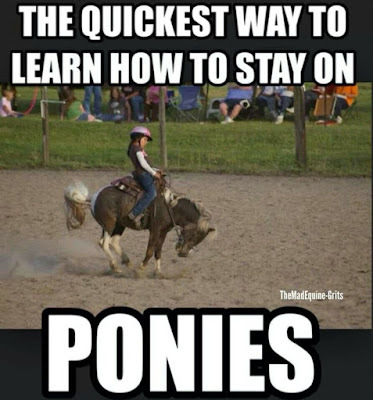 Ponies are the real challenge. 8. 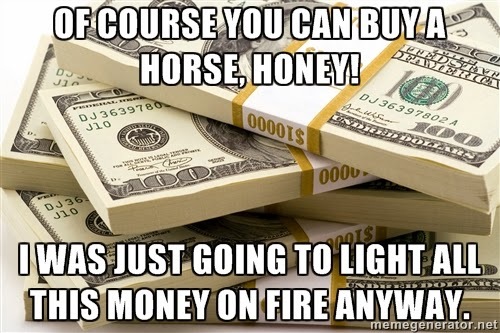 You ride horses. You must just sit there and that is easy. No, on the contrary. I haven given up on this one as I would love to put them on Hafl only once - but number 9 is the reason why this is not going to happen. 9. You have a horse? You must let my kid have a ride. No, on the contrary. Only a handful of people is allowed to ride him. And only when I am almost half dead. So hardly ever. 10. You ride horses. You must now the cousin of my sister in law, she is into horses, too. No, on the contrary. There is not only one or two of us, we are many. And we ride different disciplines. 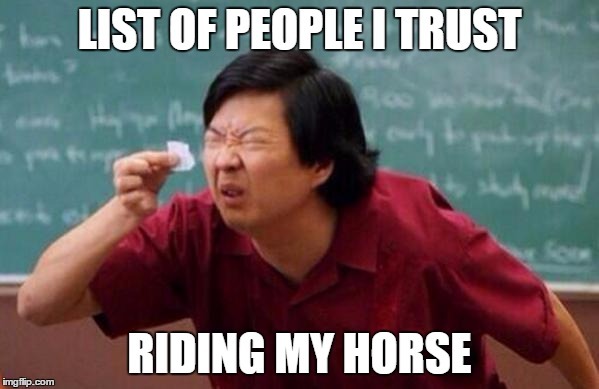 And who knows if he is REALLY into horses, maybe she has just seen one once. 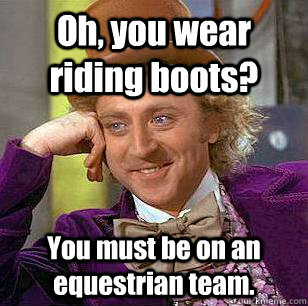 That does not make her an equestrian!